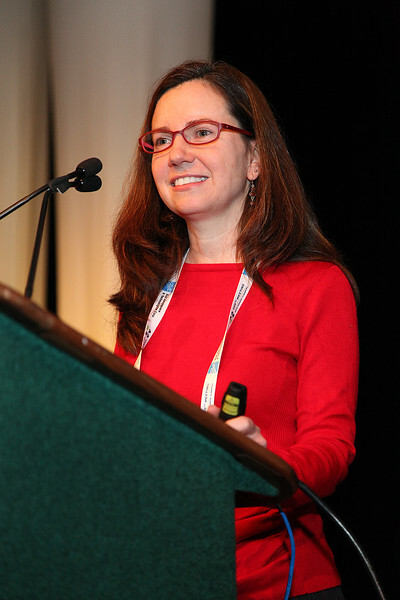 After being introduced by AAS Vice-President Jack Burns (University of Colorado), invited speaker Kara Hoffman (University of Maryland) presented her lecture "The Discovery of High Energy Astrophysical Neutrinos: First Light, New Questions." Invited speaker Kara Hoffman (University of Maryland) presented her lecture "The Discovery of High Energy Astrophysical Neutrinos: First Light, New Questions." AAS photo © 2015 Joson Images.